some bottled waters (Dasani, for example). But I remember from Chemistry and other sources of information KCl is used for lethal injections and is often times hazardous... so why would it be in bottled water? Corporate Party line Answer: Potassium is a mineral found in a variety of natural foods and it is needed for your body to function properly. The reason you may see Potassium Chloride (KCl) as an ingredient in bottled waters is to help replenish a person's natural potassium stores. The amount of KCl a person consumes through food and beverage consumption is much less than is necessary for it to be harmful to a person's health. In order for KCl to be toxic, a person would have to consume more than 2500 mg/kg of KCl, which is an extremely large amount of KCl. After contacting Coca-Cola directly, a representative from Coca-Cola stated that potassium chloride is added to their Dasani bottled water "because consumers prefer it." After conducting several taste-test studies, the results showed that consumers prefer water with the mineral (Potassium chloride) than without it. The representative stated that the amount of KCl in the Dasani water is negligible according to FDA standards. This means there is less than 5 mg of KCl in each bottle of water. Another Coke representative, Ray Crockett, told Sun News last week that "the amount of KCL is tiny; there are no health effects for anybody, and that it is added for taste and to satisfy customer preference." In other words, according to Coke: NO PROBLEM! in water as a completion fluid in oil and gas operations. Side effects can include gastrointestinal discomfort including nausea and vomiting, diarrhea and bleeding of the gut. Overdoses cause hyperkalemia which can lead to paresthesia, cardiac conduction blocks, fibrillation and arrhythmias. (convulsions), or coma. If they persist or if you die from "Dasani poisoning," on behalf of your living survivors, ask your lawyer to get in touch with Neville Isdell, the Chairman and CEO of The Coca-Cola Company. Contact information:(404) 676-2121 | 1 Coca Cola Plz NW Atlanta, GA 30313. Our efforts might be productive, after all: in May 2007, Coca-Cola reformulated two of its soft drinks in the US to halt a lawsuit alleging they may contain the cancer-causing chemical, benzene. 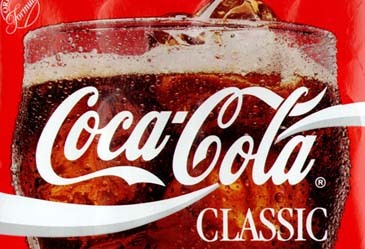 Coca-Cola, while still denying the allegation, said it changed formulas in its Vault Zero and Fanta Pineapple drinks in September 2006 to minimize benzene formation, the settlement document says. PepsiCo, Coca-Cola's arch-rival, which recently admitted that its bottled water comes straight out of the tap, still has action pending against it . Benzene is a known carcinogen and concerns over its presence in drinks went public last year, following an investigation by BeverageDaily.com and US lawyer Ross Getman. The widely used preservative sodium benzoate breaks down to form benzene in drinks also containing either ascorbic acid (vitamin C) or citric acid. America's soft drinks industry and food safety officials had known this for 15 years, internal memos show, although levels found were "not considered a risk to consumers' health." Coke said it would ensure anyone performing a Google search for 'benzene,' together with either of the products, would be directed to a special message on the Coca-Cola website. are very powerful. If you're a regulator with a tight budget, it could have been one of those closets with skeletons in that you don't want to open," he said on condition of anonymity. Soft drinks industry leaders admitted to BeverageDaily.com that the message on benzene may have been lost in places since the issue emerged in 1990. But they also argued sodium benzoate's ability to kill bacteria both cheaply and effectively outweighed negligible risks over benzene. One final question for soft drink consumers: the primary ingredient after water and sugar in all of them is always phosphoric acid, which gives the drink its "zing." Yet phosphoric acid is primarily used outside of the soft drink industry as an industrial solvent, to clean toilet bowls, and to oxidize raw steel, so that it can be painted. Is this something you really want to drink or that your children should be drinking? In 1980, Stephen Fox founded New Millennium Fine Art, a Santa Fe gallery specializing in Native American and Landscape, and is very active in New Mexico Legislative consumer protection politics, trying above to get the FDA to rescind its approval for the neurotoxic and carcinogenic artificial sweetener, Aspartame. In a strictly legislative context, his most important writing has been for the Hawaii Senate. In his capacity as Contributing Editor of the Santa Fe Sun News, Fox recently interviewed Mikhail Gorbachev.